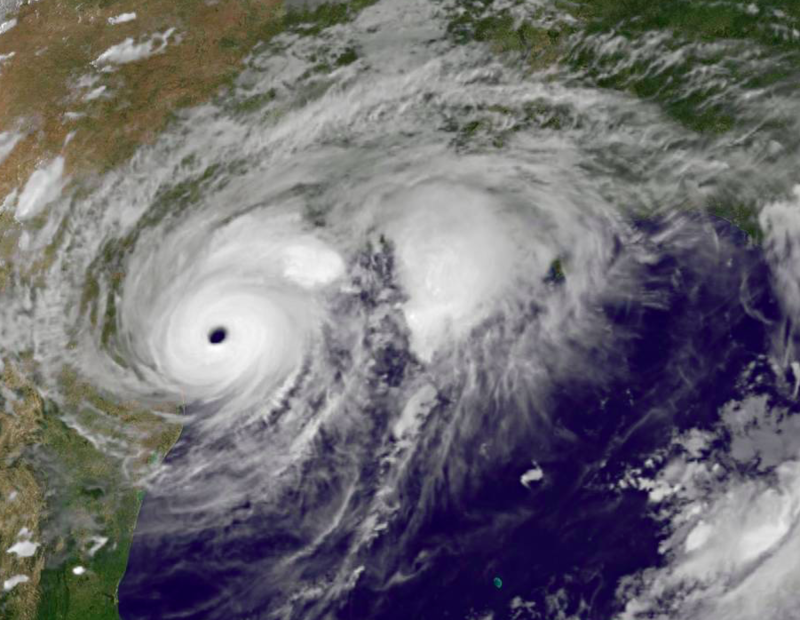 A very powerful storm, Hurricane Harvey, made landfall in southeast Texas, United States on August 25. It had wind speeds of up to 130 mph (200 kph). Harvey was downgraded to a tropical storm the next day. However, Harvey hung over Houston, the largest city in Texas, dumping an enormous amount of rain on the city. The rain water has caused flooding and a huge amount of damage. People have had to evacuate their homes. Many folks were without electricity. The storm has moved on from Houston to other parts of the United States. Here is an animation showing Harvey from August 23 to 29, and another video about this news story.